This is an exquisite little candle and truly unique. Made from juniper, sweet gale, thyme and birch all gathered on the wild Hebridean island of Harris, it sent is enchanting. 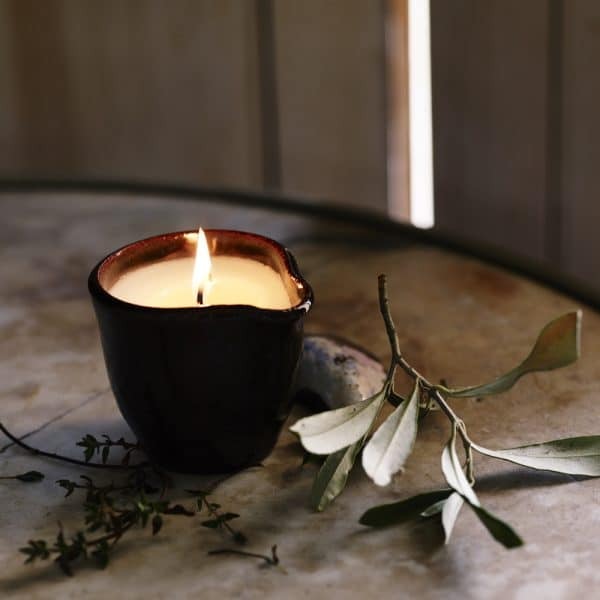 For a moment of private indulgence, close the door fill the bath and light this little pot of pure essential oils and natural soy wax to drift away. Each candle comes in a little handthrown ceramic pot to resume afterwards and the candle comes with a black gift box for a special occasion. Strongly scented warm, spicy, with a backnote of cooked wood, enjoy the authentic scents of the island from this wonderful natural candle. 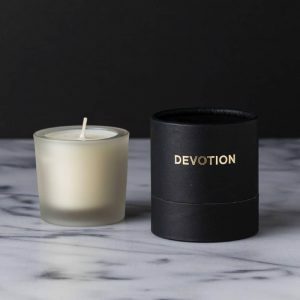 With a slow burn to maximise scent the high quality essential oils of Juniper, Thyme, Birch and Sweet Gale are combined with non GM soy wax within a handmade ceramic pot .